MANILA � The recent promotion of Major General Jorge Segovia, former commander of the 2nd Infantry Division of the Philippine Army that carried out the illegal arrest of 43 health workers in February 2010, has outraged human rights groups. 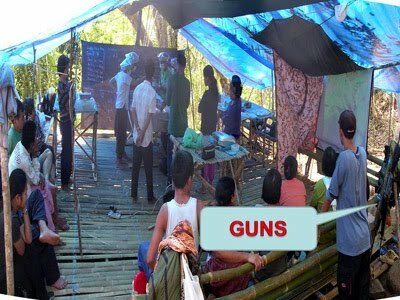 The 43 health workers, popularly known as Morong 43, were arrested in Morong, Rizal and slapped with charges of illegal possession of firearms and explosives two years ago. 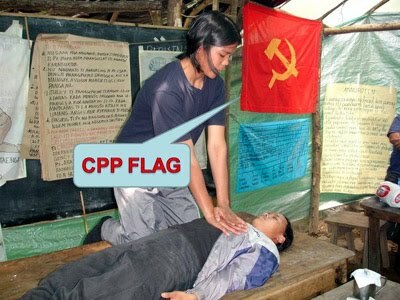 They were tortured especially during the first months of their imprisonment at Camp Capinpin. They were jailed for nearly a year. Segovia, commander of the 10th ID, is set to replace Lieutenant General Arthur Tabaquero as Eastern Mindanao Command (Eastmincom) chief. The new post promotes him into the next higher rank of lieutenant general. �His promotion is an insult to the victims of human rights violations,� Gary Liberal, a nurse and one of the so-called Morong 43, told Bulatlatin phone interview. Liberal is one of the six of the Morong 43 who filed damage suit against Segovia, former President Gloria Macapagal-Arroyo and several other officers of the military and police for violation of human rights. �Unbelievably insensitive, unfeeling and numb,� is how Edre Olalia, secretary general of the National Union of Peoples� Lawyers (NUPL), described President Benigno �Noynoy� Aquino III�s designation of Segovia as new Eastmincom chief. The NUPL serves as legal counsel of the Morong 43. �Aquino�s cavalier move indubitably insults and spits on the still fresh wounds of the victims who were illegally arrested, detained and systematically tortured under Segovia�s command,� Olalia said. �This only proves that the Aquino administration is not at all serious in going after human rights violators,� Liberal said. Aside from the civil case, a complaint with the Commission on Human Rights (CHR) filed by the health workers while they were still detained remains pending and unresolved with the rights body. �With the pendency of a CHR complaint clearly unable to bar such promotion, contrary to existing rules just like during the time of Ret. Maj. Gen. Jovito Palparan, Segovia might very well be another Frankenstein or monster in the mould of the spineless fugitive Palparan,� Olalia said, referring to retired Gen. Jovito Palparan Jr. who is charged with kidnapping and serious illegal detention for the enforced disappearance of UP students Karen Empeno and Sherlyn Cadapan. 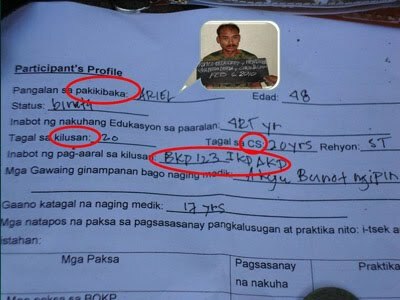 The NUPL also disclosed that a criminal complaint for torture will also be filed against Segovia and several others. One year after the filing of the damage suit, several of the military and police respondents have yet to receive notification of charges filed against them. �The civil case is facing all sorts of procedural obstacles and peripheral issues,� Olalia lamented. 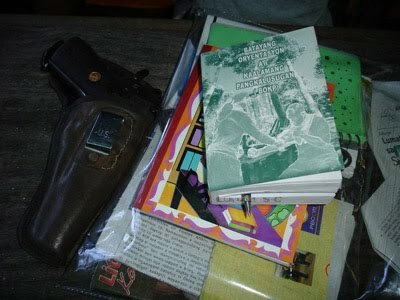 In a separate statement, human rights group Karapatan noted that Segovia was promoted soon after the refusal of Brig. Gen. Herbert Yambing of the Office of the Provost Marshall General of the AFP and the Philippine National Police, through Records Management Division Chief Manuel Gaerlan, CEO VI, to locate and provide information on Segovia and other respondents from the AFP and the PNP. �This is simply ridiculous and revolting! Is this a case of a highly visible military official who cannot be located by the court and whose whereabouts are unknown to the Provost Marshall or is it a case of a �missing� General who is promoted?� Enriquez said. �A year after a damages suit was filed in court by the health workers for their harrowing experience, it seems that the wheels of justice have not only stalled but have grinded backwards. 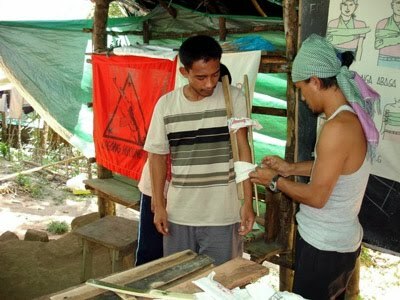 The Morong 43 health workers will not take the awarding of a new post to Segovia sitting down. They will continue to seek his accountability,� Olalia said. �The utter insensitivity of the administration to the grievances of the Morong 43 victims speaks much about the attitude of Aquino in upholding human rights � he is indifferent, benighted and complacent,� Olalia said. �With Segovia�s promotion, a military officer responsible for rights violations is not only left to wander at will, he will also be rewarded with undeserved professional advancement. Practically nothing has changed and the system that bred impunity during the Arroyo regime is still in place. Years from now, when another Palparan rears his ugly head and goes on a rampage, we will not relish saying, �we told you so,� Olalia said. Liberal called on Aquino to take the real �righteous path� by holding accountable all violators of human rights violations. Despite Segovia�s promotion, Liberal said they are determined to pursue seeking for justice.